Keep your facility looking and operating at its best possible level. Professional cleaning services from Jani-Serv, Inc. are affordable, dependable, and the most reliable in the industrial cleaning industry! Our professionals provide day and night cleaning, so you can customize your cleaning service to fit your needs. Our cleaning services keep your machines & assembly lines running fast and smooth! 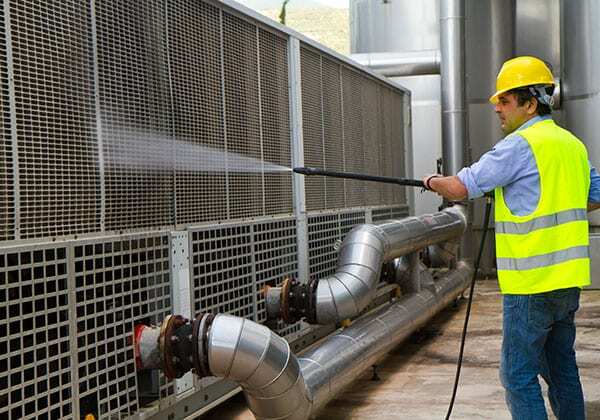 Industrial cleaning is best left to the professionals. Jani-Serv, Inc. has trained professionals to handle heavy cleaning, whether in an industrial plant or clean manufacturing environment. We can also clean your offices, so you don't need to worry about juggling multiple cleaning services. Jani-Serv, Inc. provides specialized cleaning for industrial & pharmaceutical clean rooms. Our professional industrial cleaning staff is trained in a variety of procedures for Class 1 to Class 100,000 clean rooms. We adjust our techniques to fit the control specifications for each environment, including air flow rates and direction, pressurization, temperature, and humidity guidelines. From pharmaceutical clean rooms to electronic clean rooms, our cleaning & janitorial services for manufacturing clean room environments can be tailored to meet your needs and schedule. We can come day or night, and our crews are professionally attired and trained.